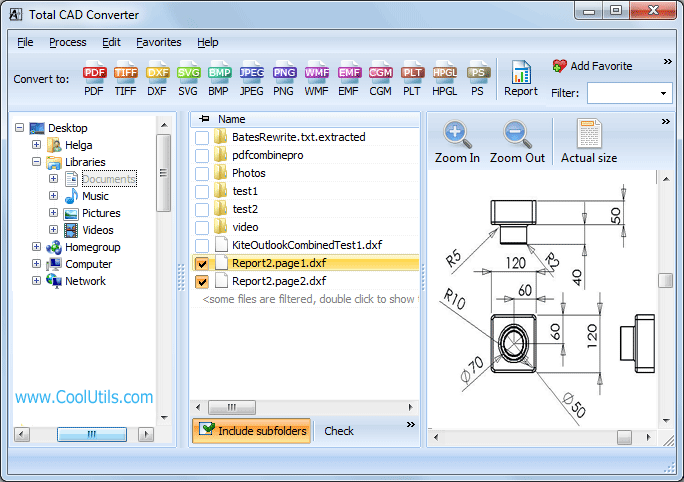 Total CAD Converter now supports the latest AutoCAD 2013 version. Its native formats are supported and can be exported to various file types like TIFF. The program is able to convert AutoCAD 2013 to TIFF in batches that is a great help when you have a tough deadline. 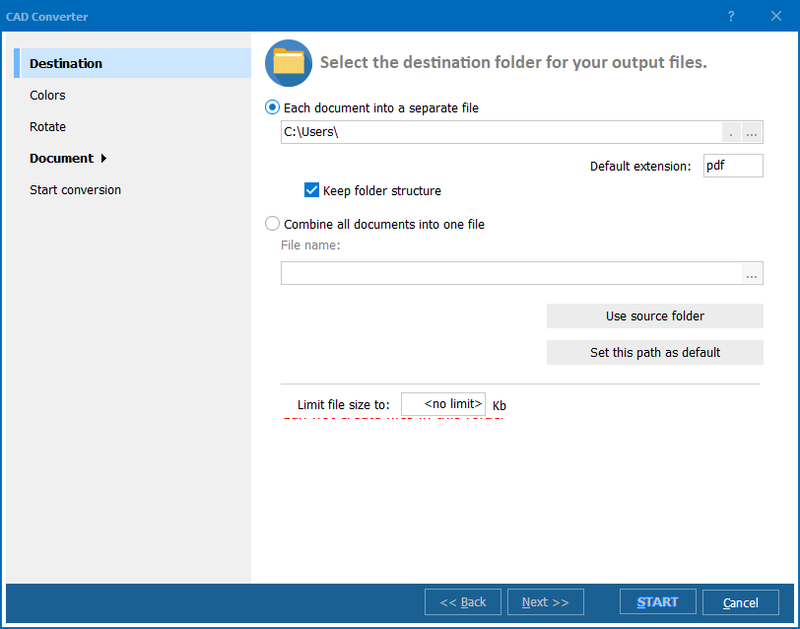 It is reasonable for processing many files with the same adjustments, as you don't need to set parameters for each file. The program will offer you to choose either to convert each source file to a separate TIFF image or combine all into one TIFF file. As TIFF format is a multi-page image, the drawings can be conveniently combined together. 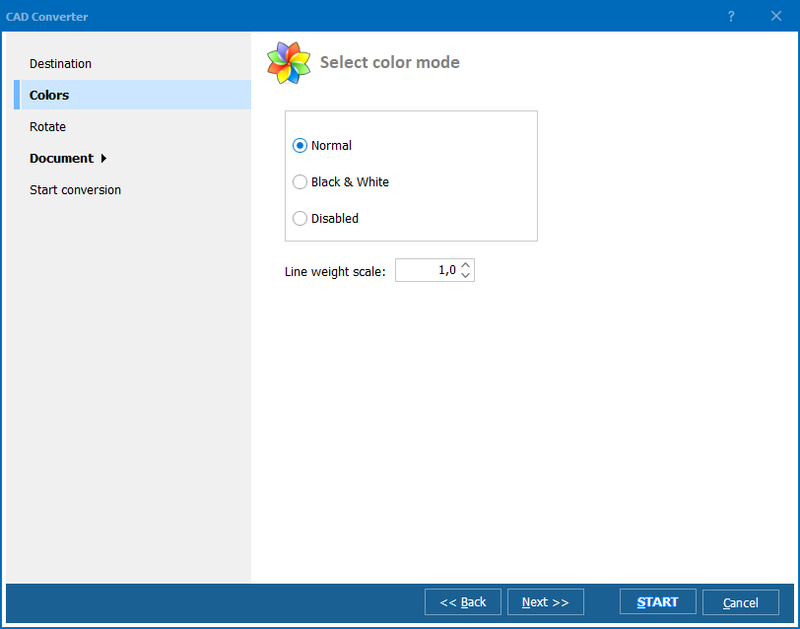 You can also convert AutoCAD 2013 files changing their initial formatting like size, rotation, color palette, etc. Usually rotation is applied to set proper orientation of drawing on paper. Together with resizing it helps to adapt big scale drawings to standard A4 or A3 paper size. You can also crop specific fragment of the original document and convert it to TIFF. If cropping is applied to a batch of files, each one will be cropped according to the preset margins. Often CAD files contain creative works that should be secured from illegal use. In this CAD converter you can put text watermarks on TIFF copies that will declare your authorship and prevent files from unwanted use. 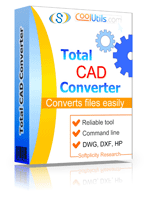 You can test the newest version of Total CAD Converter without registration during 30 days. Get it now!